Duplex outlet covers, also known as duplex receptacle covers, are used to cover electrical plugs. All of these wall plates are made in the USA and come with matching screws. Available in a wide range of finishes, you're sure to find cover plates to coordinate with your home decor. You'll find the largest selection of outlet covers including narrow, oversized, round, deep, and sizes up to 6 gangs. 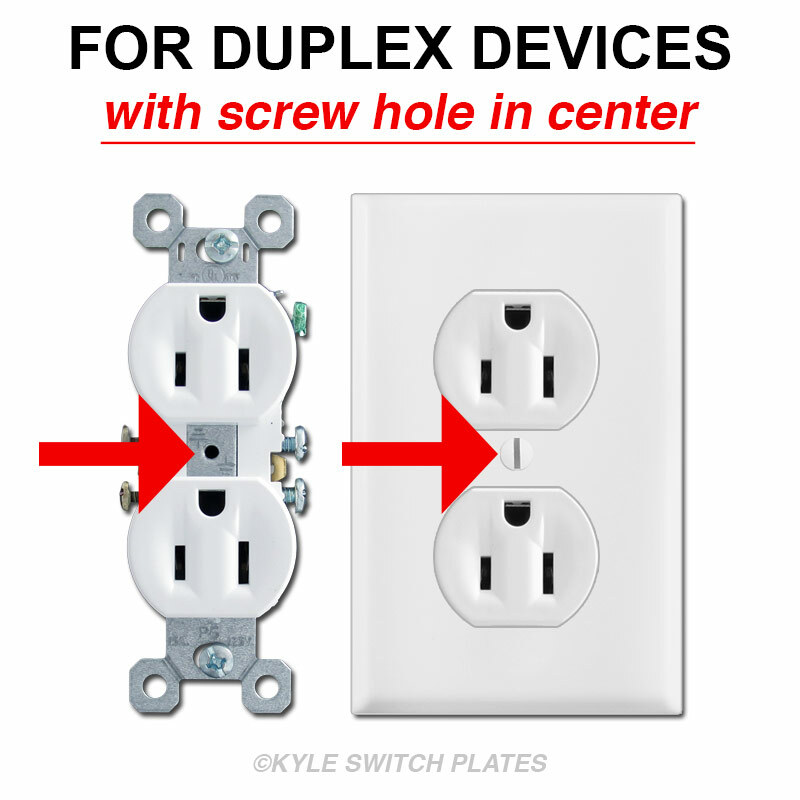 For simplex receptacles, see Round Electrical Outlet Covers. Device too recessed into the wall? 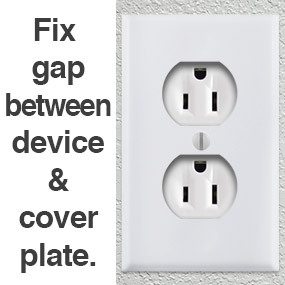 If your outlet or switch sits too far into the electrical box, you can easily raise the device to be flush with the plaster by using a box extender ring to bring it forward or by adding spacers between the box and the back of the device tabs to lift it slightly. Note: You may need longer screws for this fix. Device sticks out from the wall? If your device is in a shallow electrical box protruding from the wall so that a standard light switch plate covering it is leaving a gap around the edges, you have a few options. 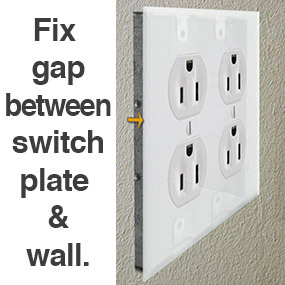 You can use a deep wall switch plate which works for covering about an extra 1/4" (for 1, 2, or 3 gang boxes), or an extra deep receptacle cover plate that will add about 1/2" (for single gang boxes only). For devices that require an even thicker switchplate use a riser for a standard outlet plate on top of it which will add about 3/4" (also just for single gang boxes). Again, extra long screws may be required. 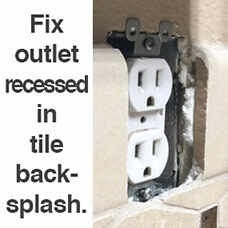 Have recessed outlets after adding a tile backsplash? Pull the device forward with an outlet extender goof ring - this will raise the outlet up to sit at the same level as your wall tile. In the image shown here, the top part of the electrical box isn't surrounded by tile. Adding a goof ring will result in a gap around the top that you can fill by cutting and stacking foam gaskets under (and adding caulk around to secure). Another option to fill the gap around the top of the box is with depth fillers (which you may need to cut down to size).